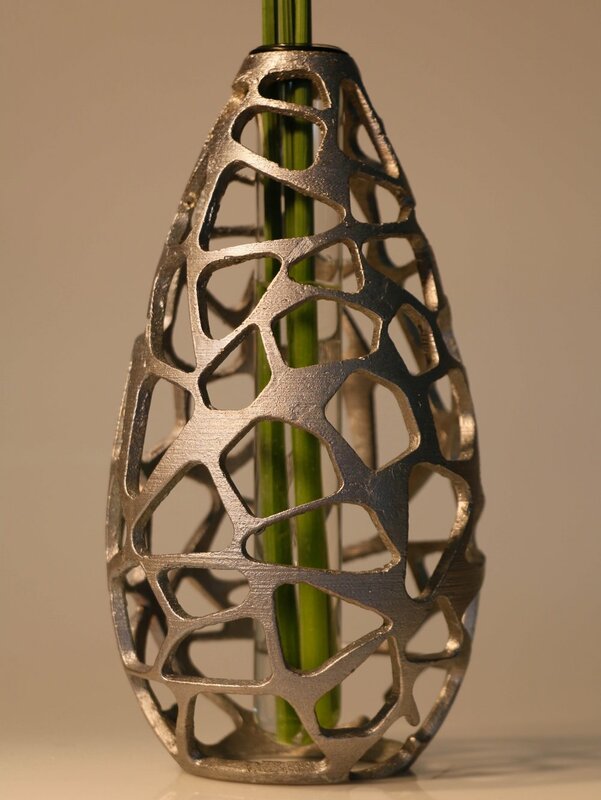 Lattice is a sculptural vase designed to reflect forms found in nature. Inspired by white basket fungus, this unique form sits transparently within any environment it inhabits. As nature is unique, no two Lattice vases are alike. This is replicated through a hand crafted process of investment casting, allowing the design to be manufactured from recycled aluminium. A simple glass test tube floats within the centre of the vase, providing the option for a water reservoir for flowers.